Navico has claimed victory in its ongoing battle with Garmin over patents on scanning sonar products. The marine equipment manufacturer reported Garmin to the International Trade Commission over the recently launched Garmin DownVu system, which it claimed violated certain patents related to Navico DownScan Imaging technology. An initial decision by an administrative judge ruled in Garmin’s favour in July, but the latest ruling and subsequent cease and desist order means that Garmin DownVu can no longer be imported, advertised or sold in the US. Although the ITC ruling does not come into full effect until February, Navico has warned Garmin’s resellers to take any products using the DownVu system off sale immediately or risk a patent infringement suit. Affected products include any echo, echoMAP and GPSMAP products (pictured above) fitted with the relevant DownVu transducers. Due to legal differences, the ruling does not apply to products sold in Europe, but a spokesperson for Navico told MBY that they are currently looking into the global situation. Navico adds that it has previously licenced the DownScan Imaging technology to a number of its competitors, but Garmin decided not to go down this route. 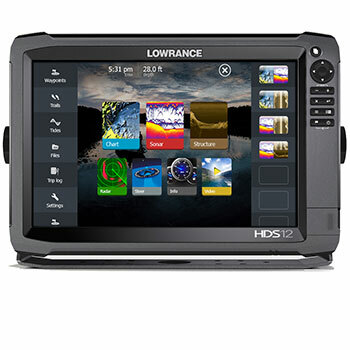 Navico is the parent company of Lowrance, Simrad, B&G and GoFree, and its DownScan technology is used on products like the recently launched Lowrance HDS Gen3 (pictured right).